Tomorrow is Thanksgiving here in the United States and before you know it Christmas will be here and then the new year! My posting here as been erratic just because my life has been filled to the brim with new and exciting routines and tasks. I’m thankful for where I am right now. 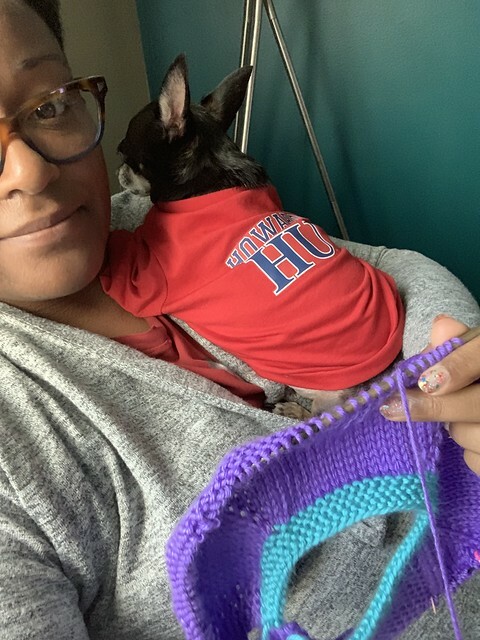 Let’s just say this year I’ve learned how to hold a chihuahua who wants hugs and snuggles while knitting. It’s a skill. I also realized how thankful I am for my two hands this year. They allow me to make things that bring comfort, joy and happiness to the people I love. And they let me type this blog to you! I’m just insanely happy and full of gratitude today and every day. So if you celebrate Thanksgiving I hope it is filled with the love of family and friends! And if you don’t, hopefully your Thursday is filled with yarn. I’ve got some fun things I’m finishing up so more posts next week! Happy Thanksgiving! Happy Thanksgiving for you and your family Dana! Although we don’t celebrate Thanksgiving in Brazil I usually give thanks for all the little things that happen everyday. Thank you for your lovely and joyful blog! May God bless you! Happy Thanksgiving! I’m glad I decided to start blogging again and found your blog. Your knitting is beautiful and your babies are adorable. I got a chuckle from your skill of knitting with a chihuahua on your shoulder! I love your blog, Dana. Thanks for continuing to post and knit and share your joy. Happy Thanksgiving! How cute is that picture?!!! Thank you for a nice Thanksgiving post on remembering to be thankful for hands which make all creativity possible. I, for one, know I take them for granted. Enjoy turkey day! The happiest of Thanksgiving to you and yours! Happy thanksgiving, Dana. I’m grateful for a lot of things, one of which is finding your blog. It is a ray of happiness. Happy Thanksgiving! Thanks for taking the time to post at this busy time. 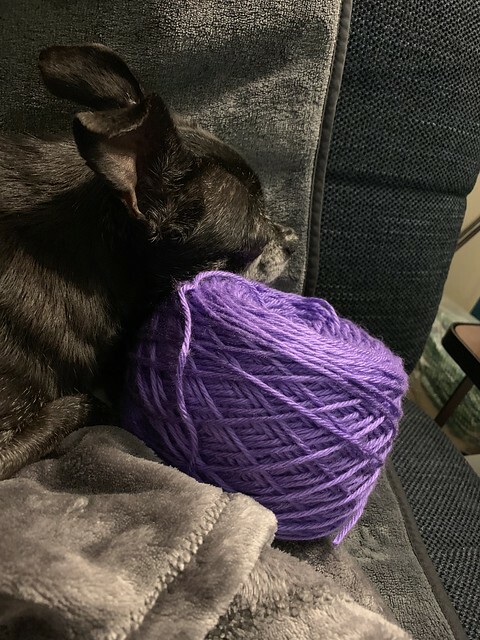 It’s always fun to see yarn and dogs and to be grateful for things we might take for granted. Happy Thanksgiving to you and your family, Dana! That includes Cher and Jellybean!